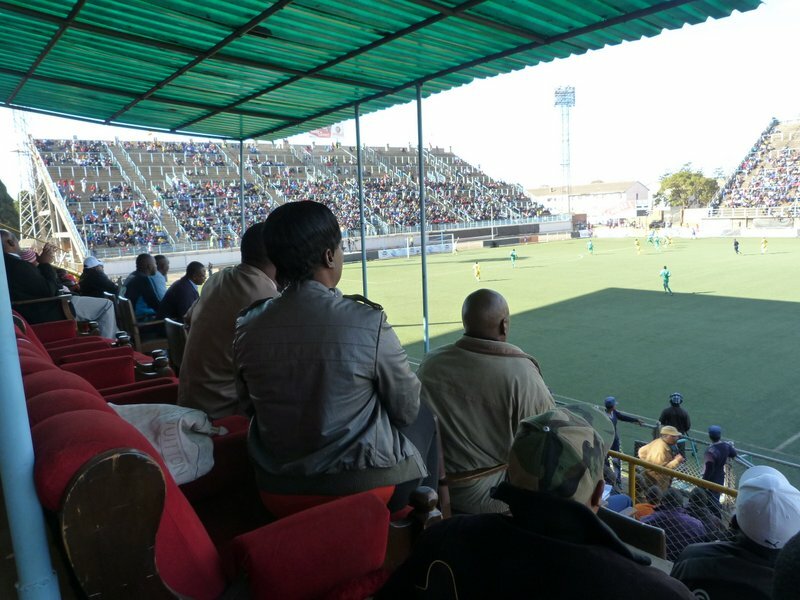 The second game of our Zimbabwe trip was an African Nations Championship qualifier between Zimbabwe and Comoros. In case you were wondering, the African Nations Championship is a sort of little brother to the better known African Cup of Nations. It is limited to players currently turning out for a club in their home country whilst the bigger tournament is the one that causes your Ghanaian winger to disappear every second January for a month or so. 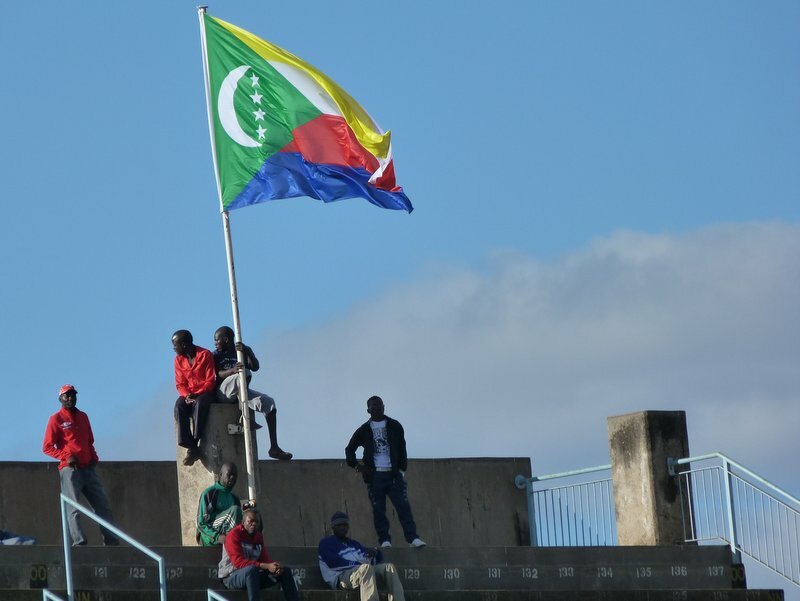 And if you were also wondering about Comoros, yes, it’s a real country. By my age I should really have heard of all of the countries in the world, but that one had passed me by. Too much emphasis on ox-bow lakes and the like in geography, I reckon. 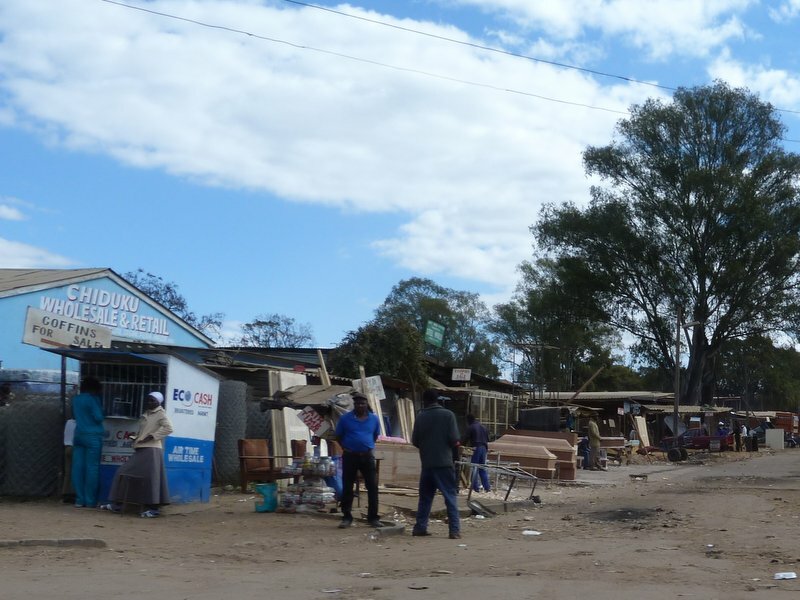 The drive to the Rufaro stadium took us through some of Harare’s poorer areas and an enormous market where it looked as if you could buy anything you fancied. There was a coffin shop on one corner which, after seeing how the Zimbabweans drove their cars, probably did a roaring trade. We’d chosen to hire a car despite the warnings that the Zimbabwean Police were likely to issue you with an on-the-spot fine every twenty yards for whatever reason they fancied. 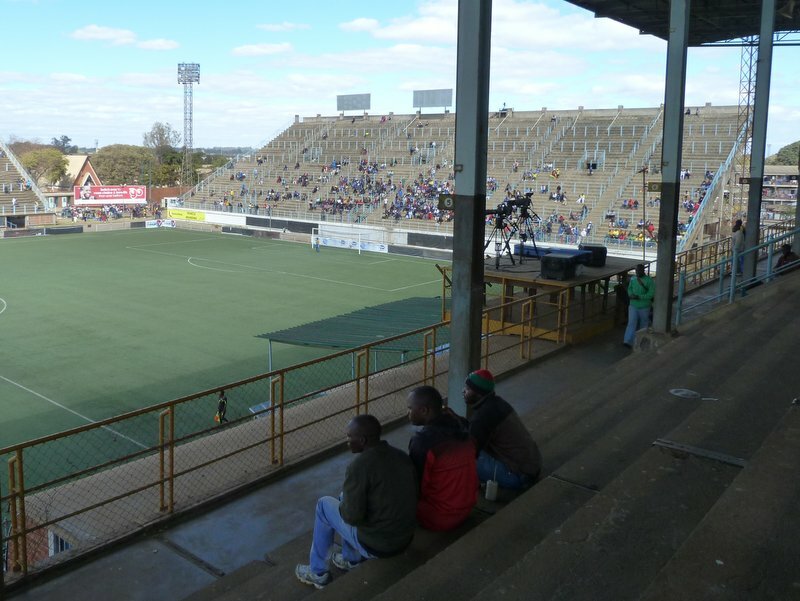 We didn’t have any trouble at all with them though and arrived at the Rufaro Stadium with a similar amount of dollars to that which we’d set out with. 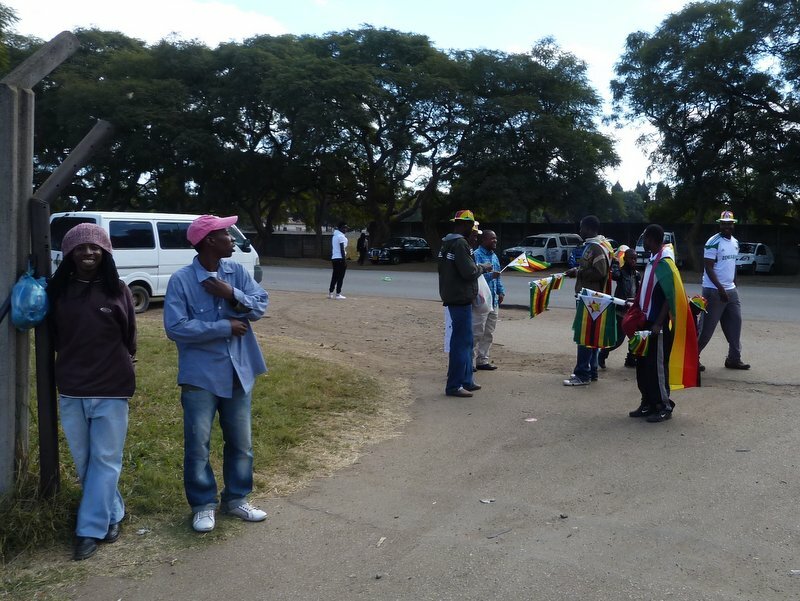 There was more than an hour to go to kick-off and the area outside of the stadium was already busy with vendors selling food, drinks and national flags. There wasn’t a car park and so we had to leave the car by the side of the road in the care of a fella who assured us he’d take good care of it. Tickets were two dollars each which I thought was pretty good value when you consider that we’d paid a dollar to watch a second division domestic game the previous day. However, there were also some ten dollar VIP tickets and so we thought we’d take a gamble that whatever undisclosed benefits they offered would be worth the uplift. Initially they appeared poor value with the only noticeable difference between the concrete terracing in our stand and the other three stands was that we had a roof. Luxury indeed, although not really worth five times the price or remotely worthy of the VIP designation. As the stand filled up with people who looked like they would have more pressing ways of spending the eight dollar differential between seats in the sun and the shade I started to wonder if we really were in the right place. We weren’t. The VIP section was downstairs and if we’d got there early enough then our ten dollar tickets would have allowed us to cushion the terracing with a thin mat. We did get to sit right next to the Extremely Important Person Section which actually had armchairs in it. 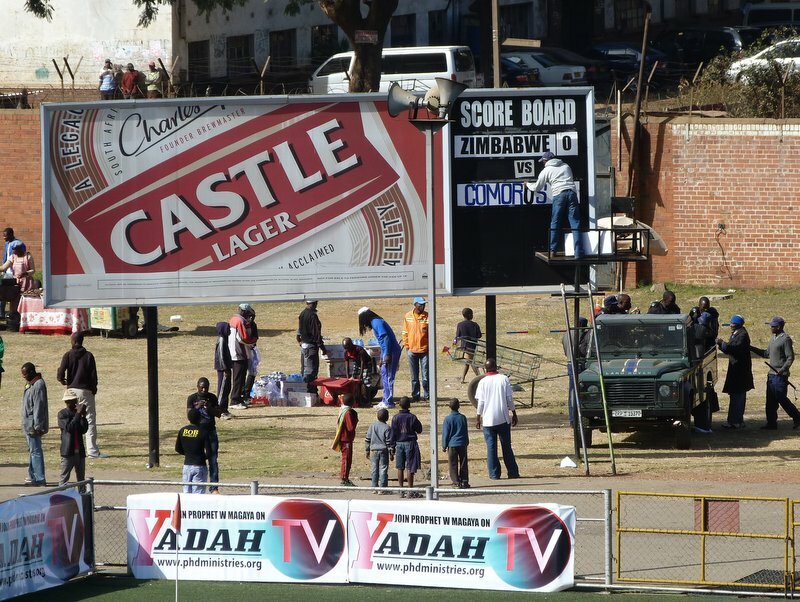 They were reserved for the various bigwigs from the Zimbabwean government and Football Association, some of whom, somewhat ungratefully, didn’t show up until well into the second half. Maybe they hadn’t been able to resist a browse around the coffin shop. The rest of the thirty-five thousand capacity stadium had filled up nicely by that time, with probably around twenty-thousand fans in total spread over the stands. 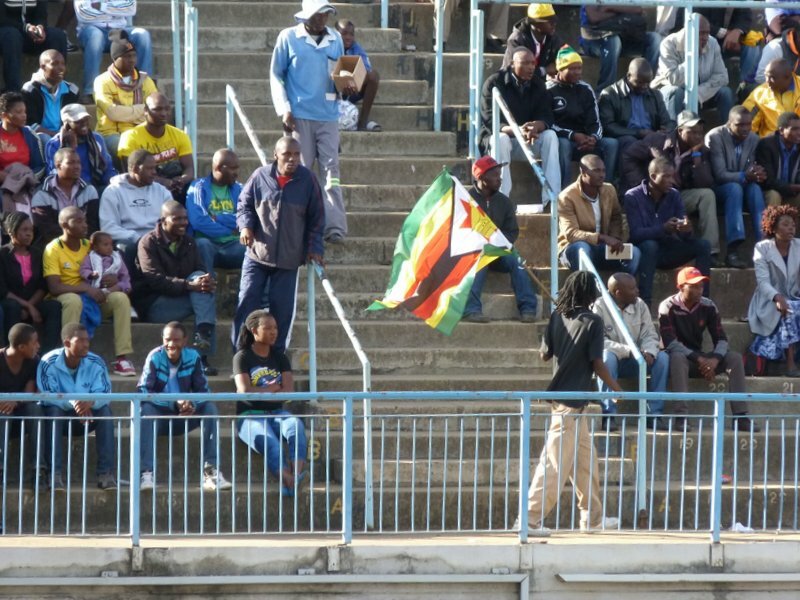 The standard, as you might have expected, was a lot higher than the previous day’s game and Zimbabwe had a neat passing game on the artificial surface. They took the lead ten minutes in with a shot from the right. 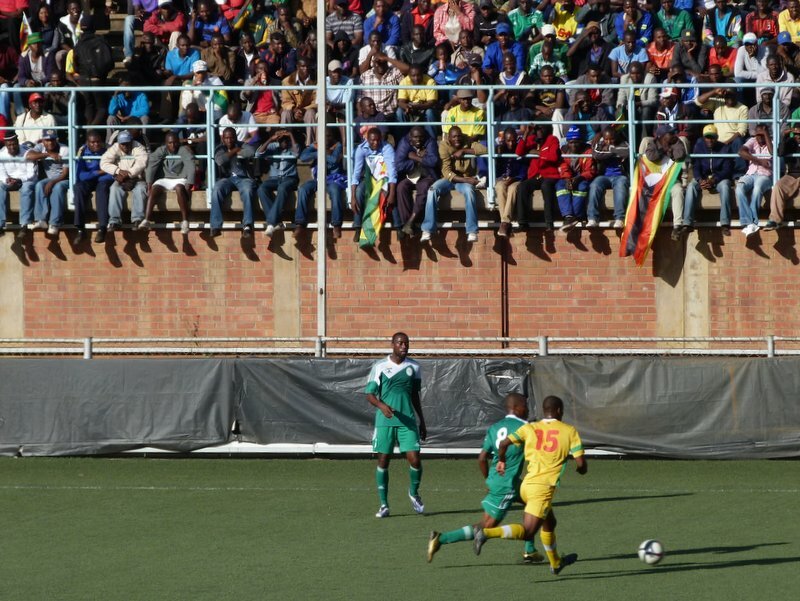 It looked as if Zimbabwe might rattle up a hatful but despite the decent stuff in the build-up they were less than clinical in front of goal with one particularly wasteful miss sufficient to cause me to exchange wry smiles with a government minister to my left. Comoros seemed quite happy to slow things down and keep the deficit to the single goal and their plan worked until the final minute when a scrappy home effort made the game safe. On the way out I was jostled in the crowd a couple of times as if someone was after my wallet, but I managed to hang on to it. The car was still there too, so overall I’d call the day a success.